Our Royal Suite is the pinnacle of d’Angleterre’s commitment to pampering guests with the most luxurious of accommodations. 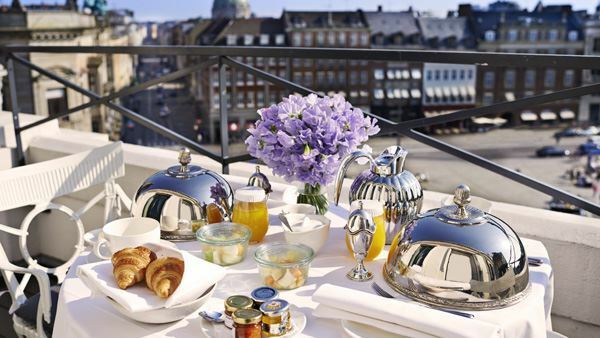 Guests can surround themselves in the legendary luxury of the Royal Suite in the center of Copenhagen. The 150-square-meter Royal Suite is lavishly furnished with gilded paneling, plush carpeting and grand chandeliers, which add to its palatial character. 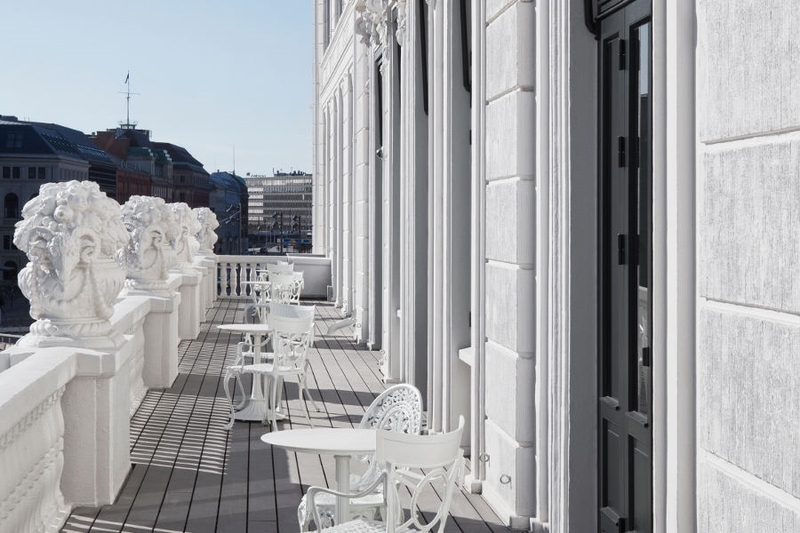 From the grand balcony, there is a stunning view of the old Kongens Nytorv square, along with the beautiful Royal Theatre and the iconic Nyhavn. 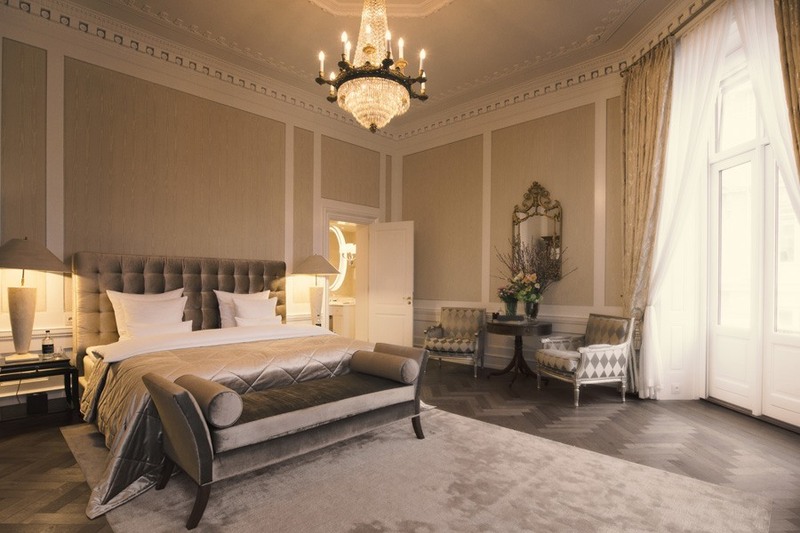 The Royal Suite is comprised of a master bedroom with a grand en-suite bathroom, a stately living room, a private dining room and a spacious balcony. 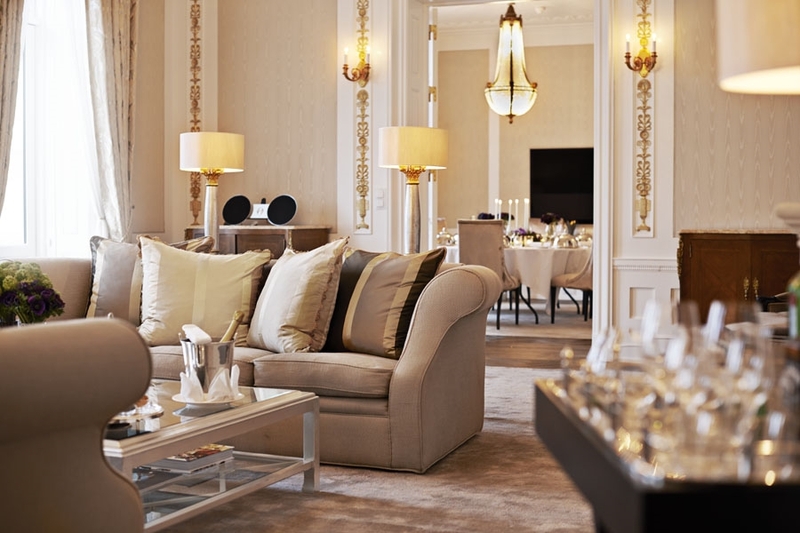 Throughout history, the Royal Suite at d’Angleterre has framed the stays of political icons, pop stars and Hollywood legends. 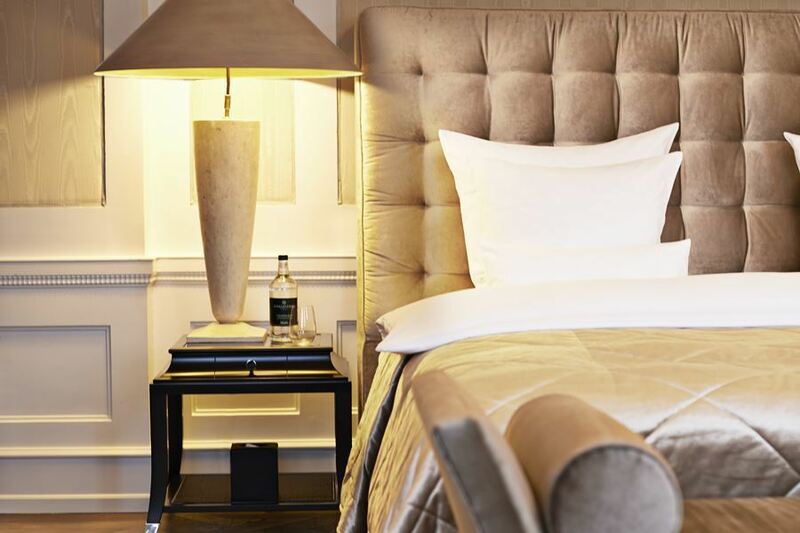 With this in mind, guests can follow the footsteps of the iconic personalities who have enjoyed the legendary service of d’Angleterre over the years. View floor plan. 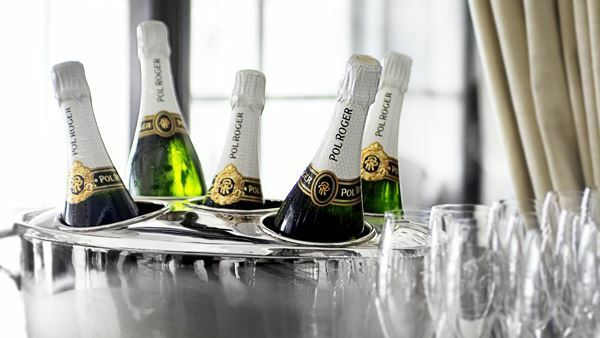 Guests staying in the Royal Suite can take advantage of our complimentary airport transfer and enjoy our lavish amenities with fresh fruit, homemade chocolate and a bottle of the house Champagne. 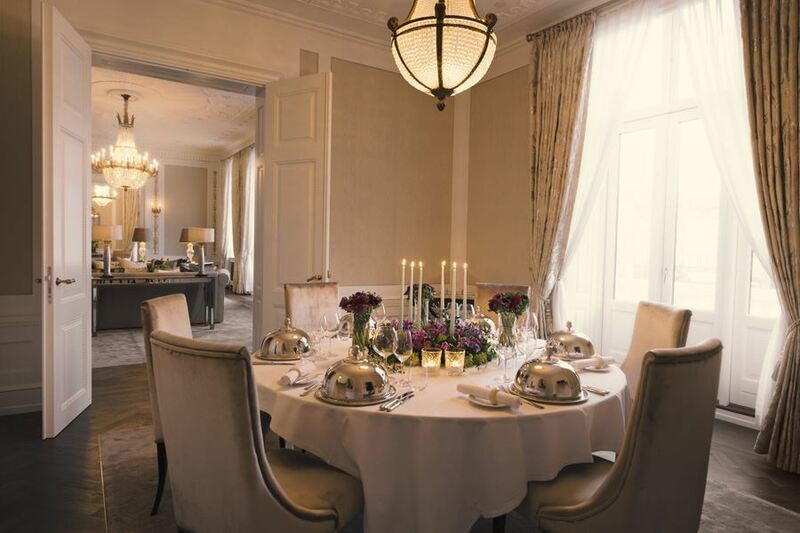 To accommodate additional guests, the Royal Suite can be combined with the rest of the first floor towards Kongens Nytorv, transforming it into a 400-square-meter (or 4,305-square-foot) suite and the biggest presidential suite in Copenhagen. View floor plan. Please be aware that you can not expect a suite identical to the floor plan as this is just an example. Media hub for easy connectivity of your own music, videos and games.